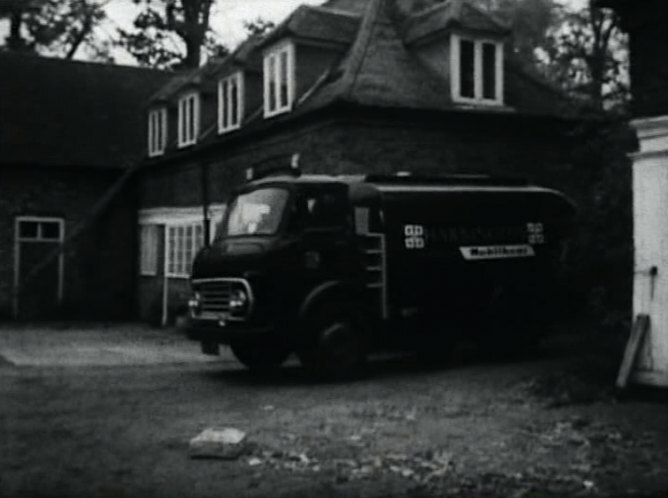 IMCDb.org: 1962 Commer CA Sparshatt 1,500 gal Fuel-Oil Delivery Tanker in "Adam Adamant Lives!, 1966-1967"
Commer or Karrier. Maybe Mobil home fuel delivery?? The headlights aligned with the centre of the grille area, the name (not seen here) would be above the grille and 4 slots in the grille. 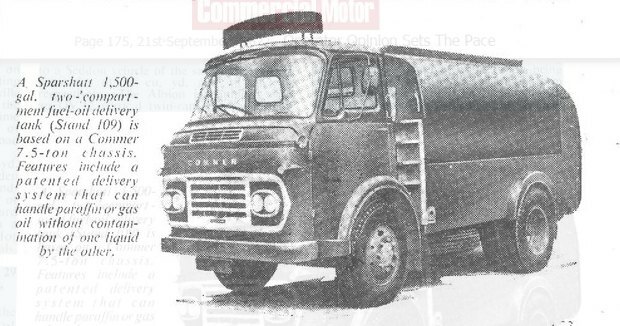 1963-1964 Karrier Gamecock WA 5 or 6-Ton also possible but twin headlights are almost always Commer. Probably this Sparshatt 1,500 gal fuel-oil delivery tanker Link to "archive.commercialmotor.com"